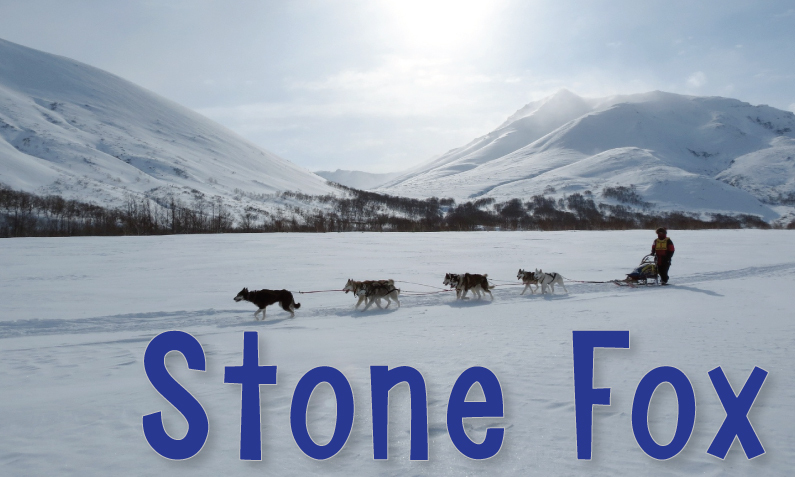 Follow the Race with Stone Fox! 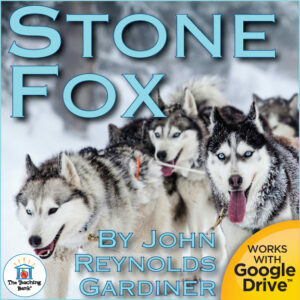 An exciting and heartwarming book to use in the classroom is Stone Fox, by John Reynolds Gardiner! Little Willy’s Grandfather is sick, and it’s up to Willy to save their farm from the tax collectors. Their only hope is the prize money from the National Dogsled Race. But a lot of other people want to win the race, including Stone Fox, who has never lost a race in his life. Do Willy and his dog, Searchlight stand a chance against the toughest racers around? Can they win the race to save the farm-and Grandfather- before it’s too late? This is a great book to read in the spring during the Iditarod. Students can follow along with the race in real time as they read the book. I used this novel study every year in my 4th-grade class. My students always enjoyed the book with its heartfelt story, action, adventure, and lessons on courage and perseverance. It is a great book to draw in reluctant readers. I came across a wonderful discovery, Google Lit Trips! 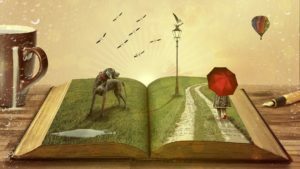 What is a Google Lit Trip? 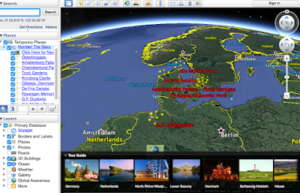 Lit Trips are downloadable files that mark the journeys of characters from famous literature on the surface of Google Earth. 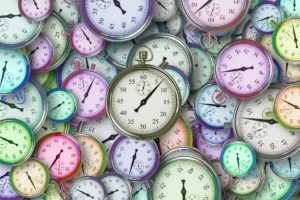 Along the way, placemarks with pop-up windows contain “just in time” resources including relevant media, thought-provoking discussion starters, and links to supplementary information about “real world” references in that portion of the story. 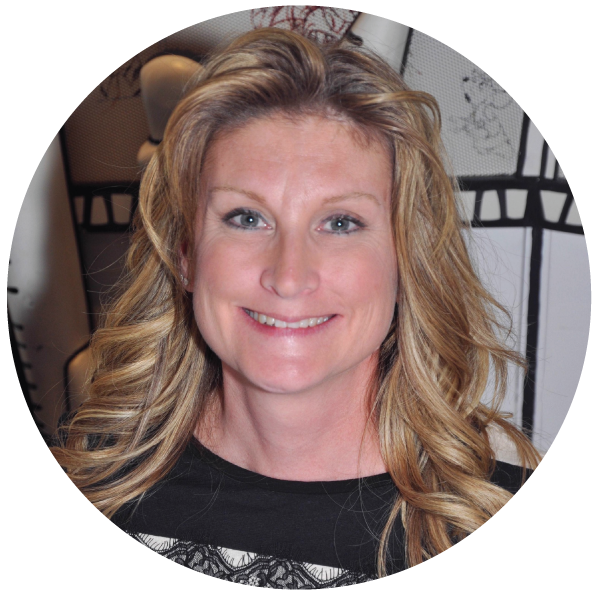 The focus is on creating engaging and relevant literary experiences for students. 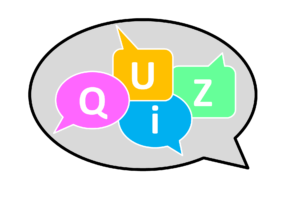 It is free to use for individual educators and classroom teachers. There is an option to sign up for a multi-user registration to use within a classroom. All you’ll need on your computer is to download Google Earth. The Google Lit Trip “Getting Started” page explains all you need to do. 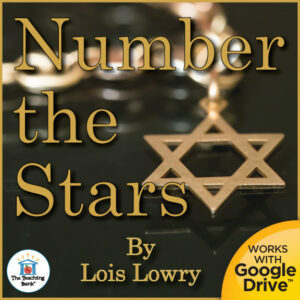 One of the available titles for a Google Lit Trip is Number the Stars by Lois Lowry. 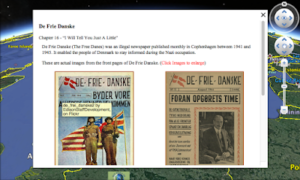 This Google Lit Trip maps the journey Annemarie and her family takes between Denmark and Sweden to help their Jewish friends escape the Nazis. Along the way, you can make a stop and read about the location. This information can tie into the story and/or add background information to the reader to enhance the story using photos, videos, Google Earth visuals, and descriptive information. 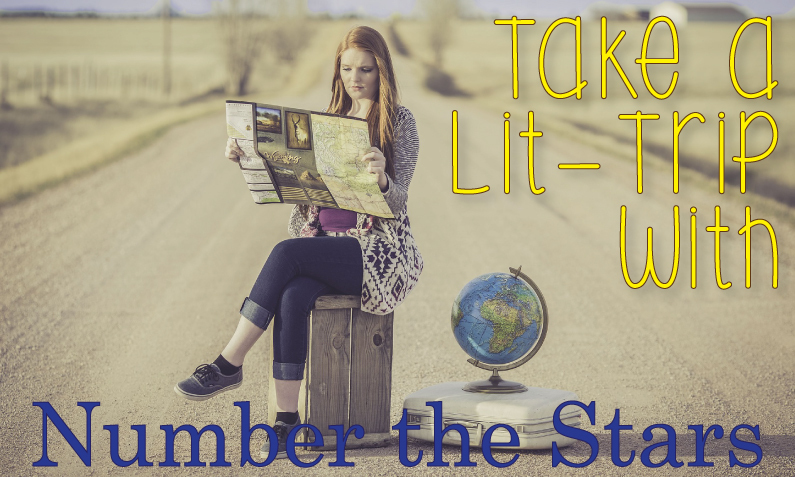 If you are using my Number the Stars Novel Study, I highly recommend you check out this accompanying Lit Trip to enhance the learning and enjoyment of the novel for your students. I can’t sing the praises of this Lit Trip highly enough. It is such a fantastic addition to using this novel in the classroom. 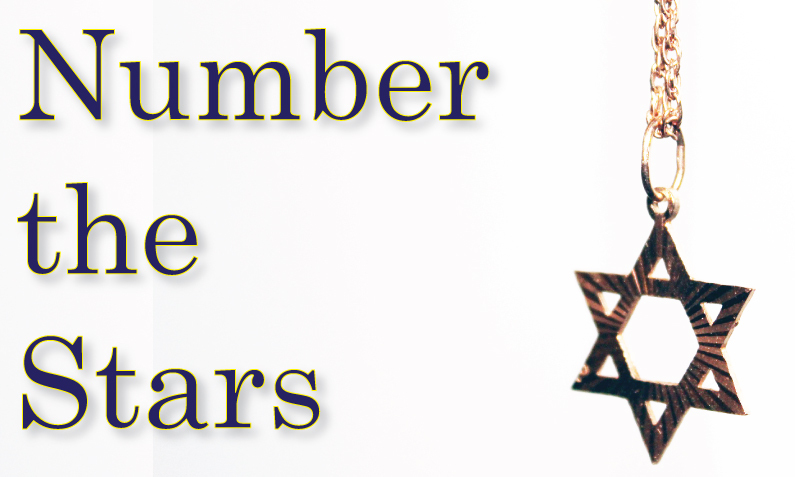 Number the Stars by Lois Lowry is a wonderful historical fiction novel to use along with a study of the Holocaust. Number the Stars is the 1990 winner of the Newbery Medal for most distinguished contribution to American literature for children. Ten-year-old Annemarie Johansen and her best friend Ellen Rosen often think about life before the war. But it’s now 1943 and their life in Copenhagen is filled with school, food shortages, and the Nazi soldiers marching in their town. The Nazi’s won’t stop. The Jews of Denmark are being “relocated”, so Ellen moves in with the Johansens and pretends to be a part of the family. Then Annemarie is asked to go on a dangerous mission. Somehow she must find the strength and courage to save her best friend’s life. There’s no turning back now. This novel study gives students a historical peek into WWII Europe and the lives of those that feared the Nazis and those that tried to help. 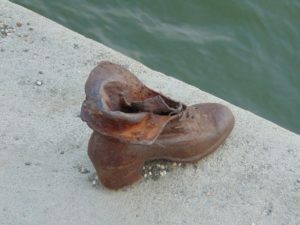 It is a way to get your students looking through the eyes of another to help understand the atrocities of the Holocaust. This novel study contains both a printable and a Google Drive format to use in the paperless classroom. More and more classrooms have 1:1 capability and even those that are not fully 1:1 are using technology more every day. 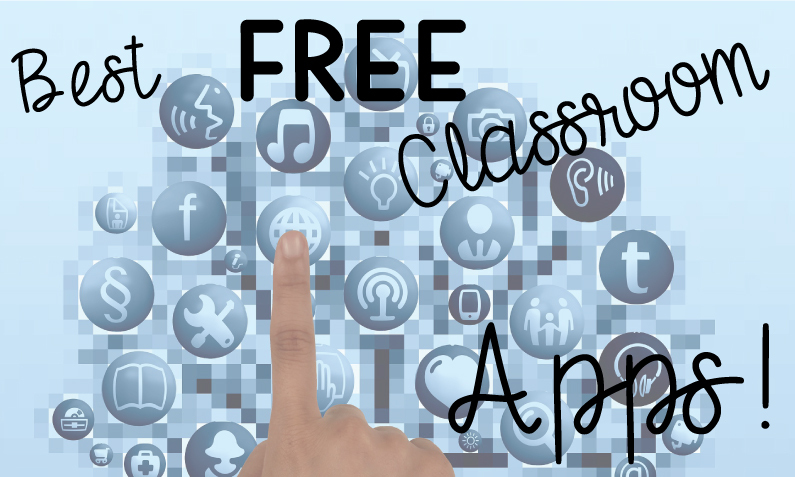 Here are some apps that are available for free for you to use with your students and for parent communication. 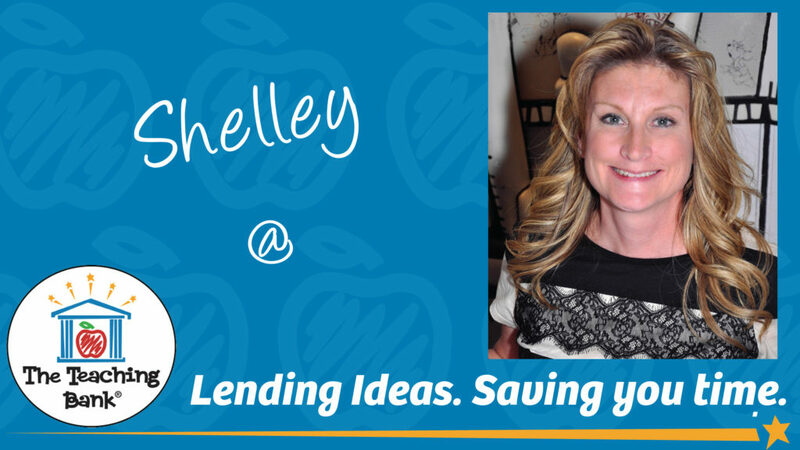 Could you be a Real Life Flat Stanley? In the book Flat Stanley, Stanley was mailed to California instead of going by train or plane in order to save money. This idea seems hilarious and crazy, and a wild stretch of the author’s imagination, but did you know that back in 1913-1914 it was legal to send children through the mail? 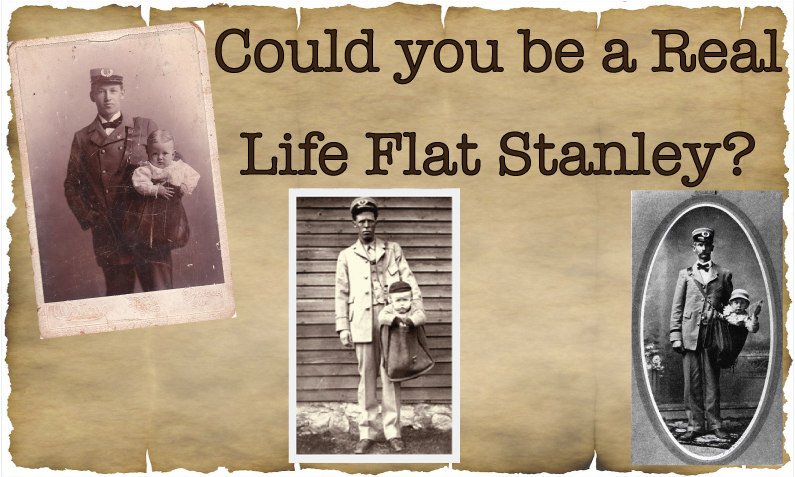 There are some cases of “real life Flat Stanley’s” in the United States Postal history. Vernon O. Lytle, mail carrier on rural route No. 5, is the first man to accept and deliver under parcel post conditions a live baby. The baby, a boy weighing 10-3/4 pounds, just within the 11-pound weight limit, is the child of Mr. and Mrs. Jesse Beagle of Glen Este. The boy was well wrapped and ready for “mailing” when the carrier received him to-day. 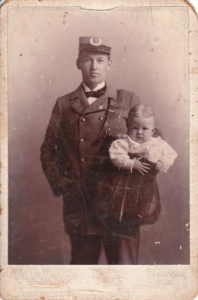 Mr. Lytle delivered the boy safely at the address on the card attached, that of the boy’s grandmother, Mrs. Louis Beagle, who lives about a mile distant. The postage was fifteen cents and the parcel was insured for $50. Learn more about this crazy, but true story in this addition to my Flat Stanley novel unit, “Could you Be a Real Life Flat Stanley?”. It is included with the full Flat Stanley Novel Unit, or available alone. It includes a reading informational article detailing the longer, complete version of this interesting factoid of our postal history as well as a math and writing follow up activity where the student will work to determine the cost to deliver themselves to a travel destination via mail, car, train, or plane! Crazy, fun, and educational all in one! 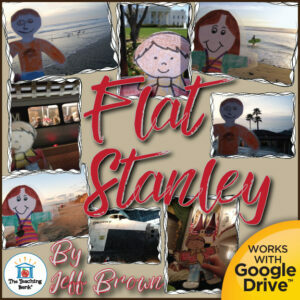 Flat Stanley by Jeff Brown, is a fun book that is wonderful to use in the classroom. The activities that can be branched off this book across the curriculum are numerous. The book asks the reader to suspend reality and go along for the ride. Students really have a fun time reading Flat Stanley and participating in the extension activities. Completing the Flat Stanley project with your class can be a really fun learning experience. Each student will create his or her own personalized flat character (usually named after themselves). They will ask a relative or friend that lives in a different place to take their character on an adventure and report back. Most of the helpers really get into the fun and make it really fun for the student to share their results. All three of my kids have sent their flat selves with Grandpa on golf vacations. Grandpa had a lot of fun with his Flat Grandkids and posed for numerous pictures. My kids were able to share their Flat adventures with their class.